UGATUSAT is a microsatellite developed by UGATU (Ufa State Aviation Technical University) on a budget of 115 million rubles. The 30 kg satellite features a earth observation camera with 50 m ground resolution. Goals of the mission are to provide experience to the students in operating a satellite, to develop a satellite control system and to provide earth observation to monitor water and forrest resources. 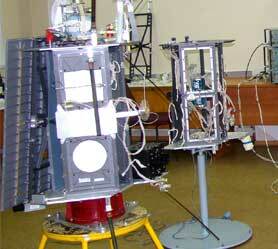 Microsatellite is intended for scientific and educational applications for USATU Ufa. Validation of satellite data transmission channels.